With over 30 years experience, Spa Autos not only offers routine servicing, but also diagnostics. 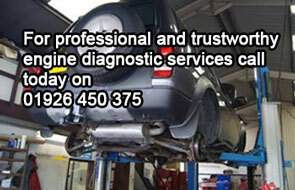 Our latest diagnostic equipment can diagnose all engine and electrical faults. At Spa Auto Services, we replace brakes and clutches with original equipment from approved suppliers. This enables us to undertake brake and clutch repairs in Warwickshire, and all other component replacements, using quality manufacturer and OEM brands synonymous with outstanding performance and durability. To ensure we cope with all of the demands the modern automotive marketplace puts upon us, we equip our workshop with innovative trade technology recommended by Bosch to bring you reliable engine diagnostics in Warwickshire. Our diagnostic testing services resolve all sub-system and ECU issues by identifying the underlying reasons behind dashboard warning lights. Copyright © 2019. Spa Auto Services. All Rights Reserved.